These presentation slides 42371 are complete compatible with Google Slides. Simple download PPTX and open the template in Google Slides. You will be astonished and positively surprised by the effect this template will make on your presentation. 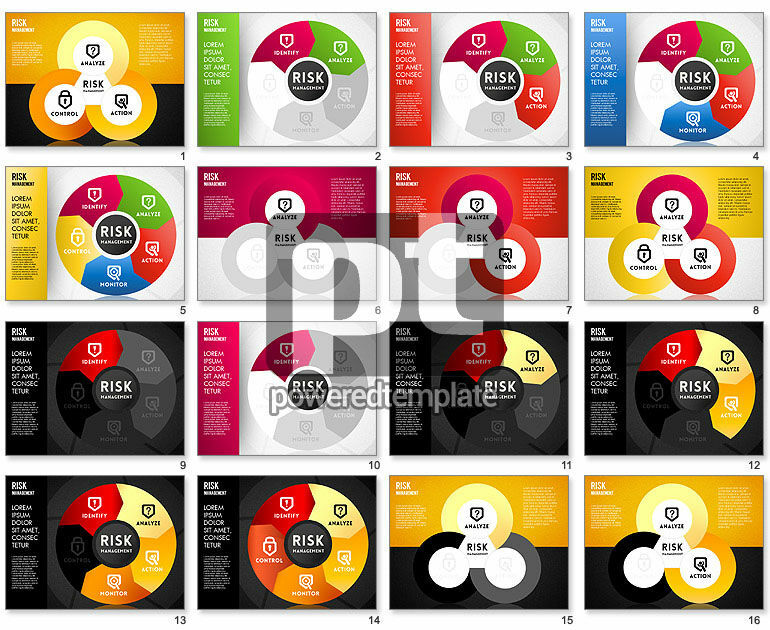 Created in a cool wheel diagram manner, it will ideally suit to visualize such aspects as risk management, required premium, risky business, risk amount, survival skills and others. This superb theme includes colorful circles with icons and stripes to help you to get through to the audience.